A college student attempts to learn the art of astral projection so he can to communicate with his deceased mother. The practice has unintended side effects as he opens a gateway that allows otherworldy entities into our dimension. 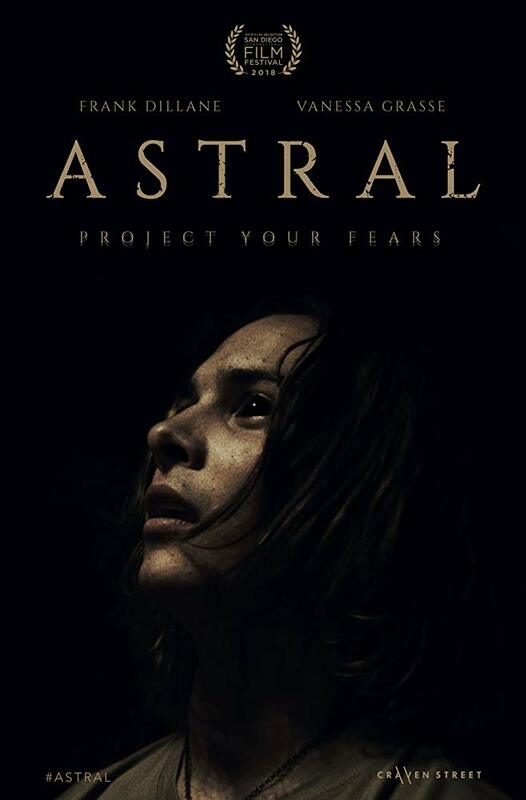 Science and the supernatural try to find balance in the sci-fi dramatic horror film "Astral." This movie is directed by Chris Mul, who also helped write the screenplay along with Michael Mul. 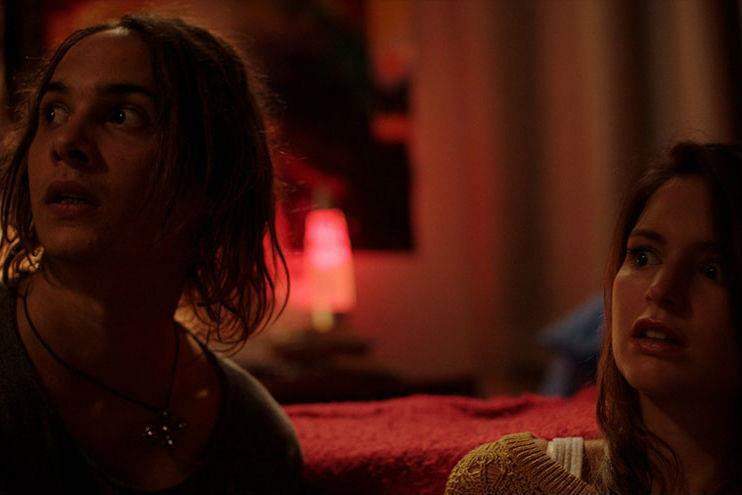 The story centers on a university student named Alex Harmann (Frank Dillane), whose mother Claire (Catherine Steadman) committed suicide when he was very young. Though he attends college, Alex is sort of wandering aimlessly through school. In one of his classes, his interest is piqued when his science professor speaks of a theory of multiple dimensions and the hypothesis that it may be possible to shift our perspective and enter into these congruently occurring planes of existence. After a little bit of research, Alex attempts to access a broader dimension through astral projection, and also hopes he might be able to communicate with his departed mother. After successfully projecting, Alex unintentionally opens a gateway between realms that allows other beings to influence our world. When we sat down to watch "Astral," we immediately got some strong "Flatliners" vibes from it since this narrative combines scientific theory with the supernatural. In searching for scientific evidence about astral projection, the protagonist opens himself up to torment from entities beyond our realm. This is a methodically paced, slow-burning horror. Director Chris Mul is quite successful at setting an unsettling tone and a creepy atmosphere using simple but effective visual effects. Mul doesn't resort to cheap, fake, out of place jump scares and mainly relies on the ominous presence of "shadow people" to freak out the audience. These elements are pretty scary and occasionally gave us the willies since we were watching it while sitting in the dark. We are often plagued by "shadow people" in the middle of the night, usually in the form of clothing laying innocently on the back of a chair that looks not-so-innocent while awakening from a deep slumber. "Astral" proposes the theory that the "shadow people" only use these elements to hide in the night so people will dismiss what they see and trick their minds into imagining what they just witnessed. With a fitting mood and an interesting subject matter, we remained invested in "Astral" for most of its runtime, waiting on the edge of our seats to see its resolution. When that conclusion finally came, we have to admit, it was a bit underwhelming. The final climatic moment lacks oomph, and the ultimate reveal seems like something we had already deduced much earlier in the film. If the ending had been slightly different and more impactful, our scores would be a little higher. "Astral" is a commendable effort that visually looks great, but doesn't feel fully realized.